Since the Spokane library also has the complete set on microfilm you can get copies from the library of any article you are interested in. Big Changes at FamilySearch.org !! SALT LAKE CITY–FamilySearch announced several changes today for its family history website, FamilySearch.org. Online patrons will find millions of new records and images, over 40,000 helpful articles, over 100 interactive courses of instruction, and a dynamic forum to ask personal genealogy questions. The changes have been in testing for some time. FamilySearch will continue to implement the new website in phases to ensure all critical elements are functioning as desired. Once complete, the website will be promoted more broadly. • Millions more scanned, historical documents and indexes that are published more frequently. • An improved search experience that looks through more content and gives more accurate results. • A thriving online genealogical community where patrons can give and receive help. • One user name and password for all FamilySearch products and services. • Responsive, reliable, and scalable hardware and software that will allow the site to grow and improve. FamilySearch has published a helpful document called “Adjusting to the New Version of www.familysearch.org” and a video tutorial that summarizes the changes to the new site. These new guides can be found under the “Changes at FamilySearch.org” link. The prior version of the site will still be available through the transition period. 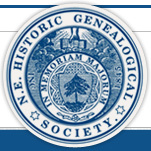 The Eastern Washington Genealogical Society Blog has been nominated as one of Family Tree Magaine's 40 Best Genealogy Blogs for 2011. This was a reader-submitted nomination, and we thank our readers who nominated our blog. The COMPLETE 1911 Census Available Now on Genes Reunited.